Available on a first come, first served basis...Rent, demo, and purchase! Contact: 604-964-0058 or shop@callaghancountry.com, sorry no reservations. 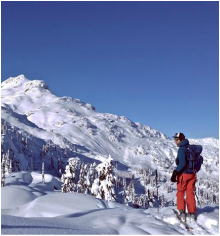 Our unique ski shop, Access Callaghan, is conveniently located at the Alexander Falls Ski Touring Centre also known as the first entrance to Ski Callaghan. 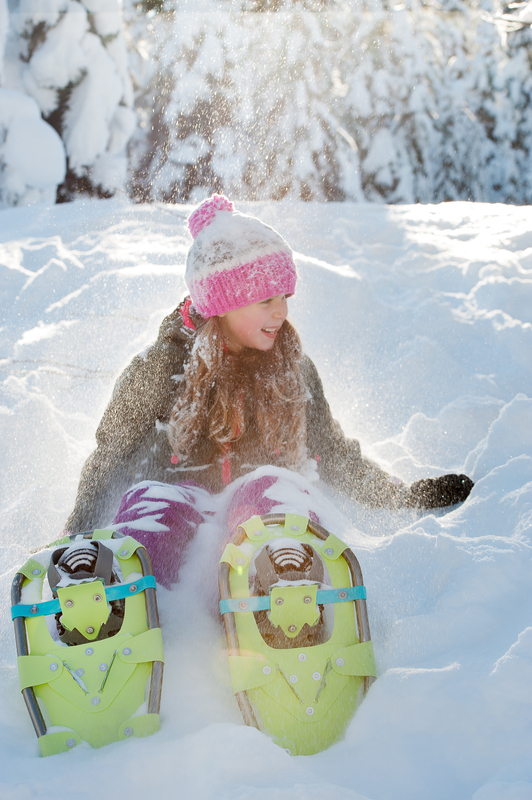 With easy beginner (green) trails and dog friendly snowshoeing right from the doorstep, it’s a perfect place to start your adventure! 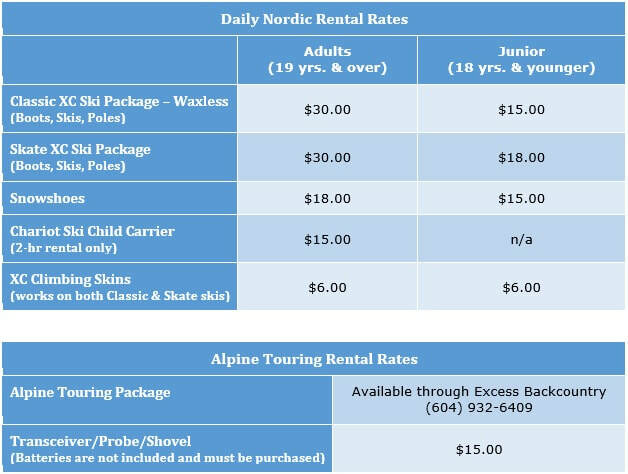 Here you’ll also find our Adventure Desk to book overnight accommodation, snow shuttles or lunch at our Journeyman Lodge in the alpine. 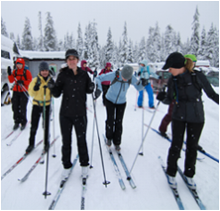 Access Callaghan is our full service ski shop providing all the necessities for both day and overnight excursions in the Callaghan. 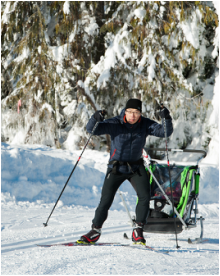 We carry Salomon cross country ski gear and clothing, gloves, Atlas Snowshoes, a variety of waxing options, alpine touring gear and supplies, Icebreaker layers, North Face accessories, Sorel boots, snacks, beverages and more. And our engaging and knowledgeable staff will help you rent, demo, and even purchase (if you so choose) all manner of snow travel tools and...... We are priced to compete. DADDYS too (it just doesn't rhyme)! We're pleased to offer parents and child care providers some self-care time to get outdoors and enjoy the trails when they are at their quietest. All parents welcome whether solo or with child in tow! ALL rentals are non refundable once used for any period. ALL rentals require credit card or driver’s license on file while in use. Rentals are due back at the shop by 4:15pm. Check weather conditions prior to you visits. Visit us in our Whistler Village location for a complete line of backcountry gear, clothing and selection of rental and demo mountain ski touring equipment. Great prices and knowledgeable staff. For a completely new experience, Ask about the Callaghan Lake Snow Shuttle servicing access to Solitude Valley, Telemagique Lake and Morning Glory.